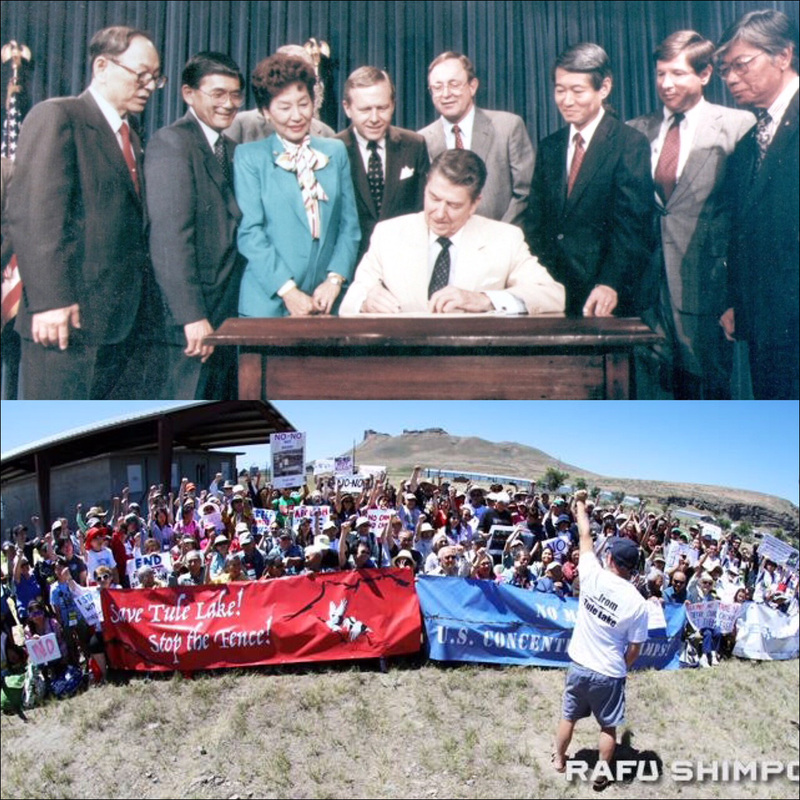 As younger generation Japanese Americans, however, we recognize that this work did not end with the passing of the Civil Liberties Act thirty years ago; rather, we should view this anniversary as the beginning of a new chapter in our fight for justice. 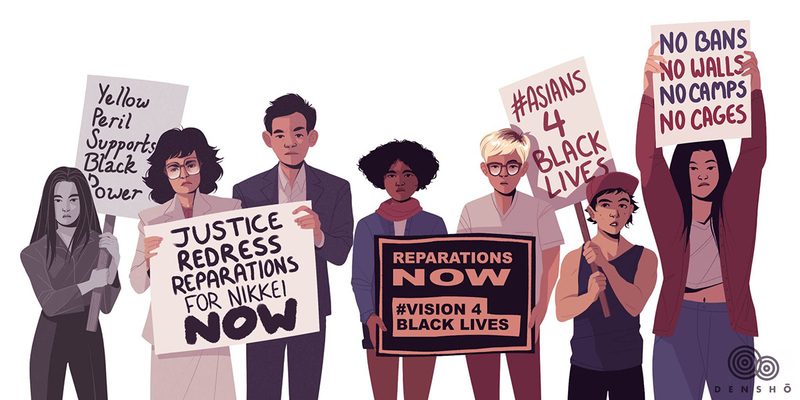 Three decades later, we see the struggles of Black and Indigenous communities who were never able to secure reparations for their communities despite the even greater hardships they have persevered through. 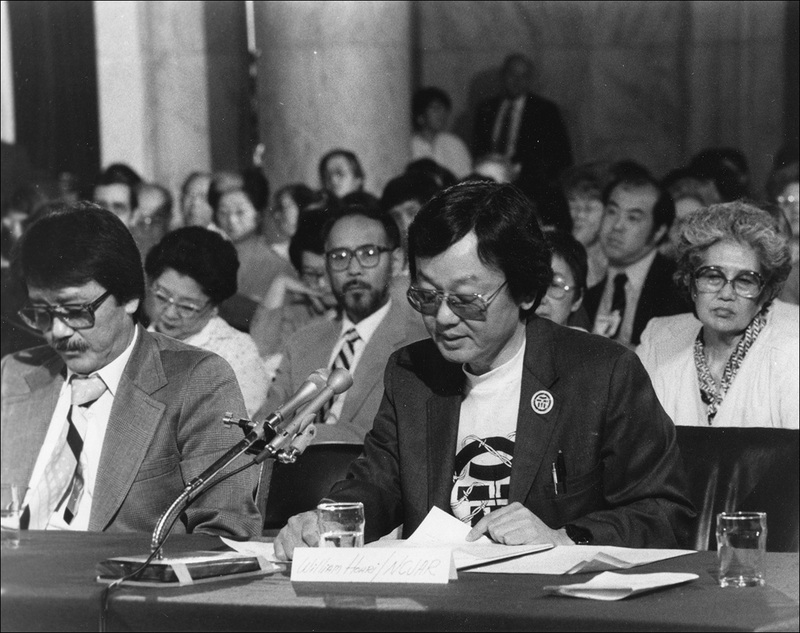 We see Japanese Latin Americans who were excluded from the Civil Liberties Act. The state-sponsored racism that led to Japanese American incarceration during WWII lives on today in the administration’s cruel zero tolerance policy and Muslim Ban. We see Muslim families in the U.S. fighting the same fight for equal rights and to be recognized as Americans in the face of deep prejudice, not unlike what our communities fought to overcome. We see migrant families, in particular many Latinx families fighting a system that splits up families and imprisons children in what are the modern day American concentration camps, some even built disturbingly close to previous sites of WWII concentration camps for our Japanese American families. It is with this in mind that we are calling on all Japanese Americans and our allies across the country to both commemorate the legacy of the Redress Movement, and also carry the torch forward by standing with communities who today fight much of the same anti-immigrant and anti-foreigner bigotry. The fight for Redress did not end 30 years ago, and it continues until we have justice for all, not just ourselves. This is why we say “Never Again” IS NOW. We are sharing our own families' Redress stories, how the Redress Movement has inspired us, to truly let the entire nation know that #NeverAgainIsNow — and we hope you'll join us. 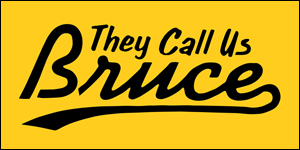 I grew up hearing terms like "sovereign immunity, mass incarceration, reparations, No-No boys, and Day of Remembrance" around our New Year's dinner table every winter in Chicago. The central Japanese American story taught to me was the Redress fight, which established resistance to injustice as the starting point for learning about the incarceration of Japanese Americans. This led to a much more empowering telling of our history. The early and candid exposure to the issue throughout my childhood shielded me slightly from internalizing the shame, confusion, and humiliation of the incarceration but nothing could lessen my grief and rage at the camps. Our family was just as hurt as the others and our losses were devastating -- my Great Grandfather Daisuke Hohri and Great Uncle Sam Hohri both suffered untimely deaths in camp. In 1945, my grandfather at 18 years old, was given an individual exclusion order from the State of California and ordered out of the state at gunpoint. For this 30 year anniversary, I reflect on the important lessons from my grandfather, modeled through his words and actions -- stand up, speak up, build coalitions, be curious and engaged in the world. 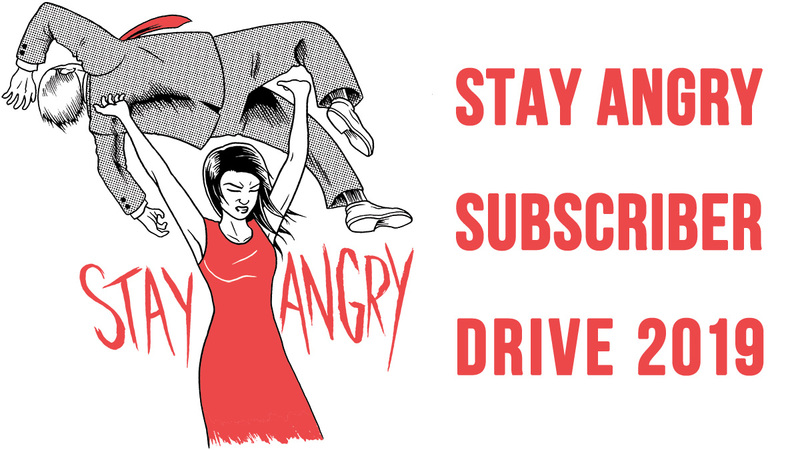 Also, tell children the truth. 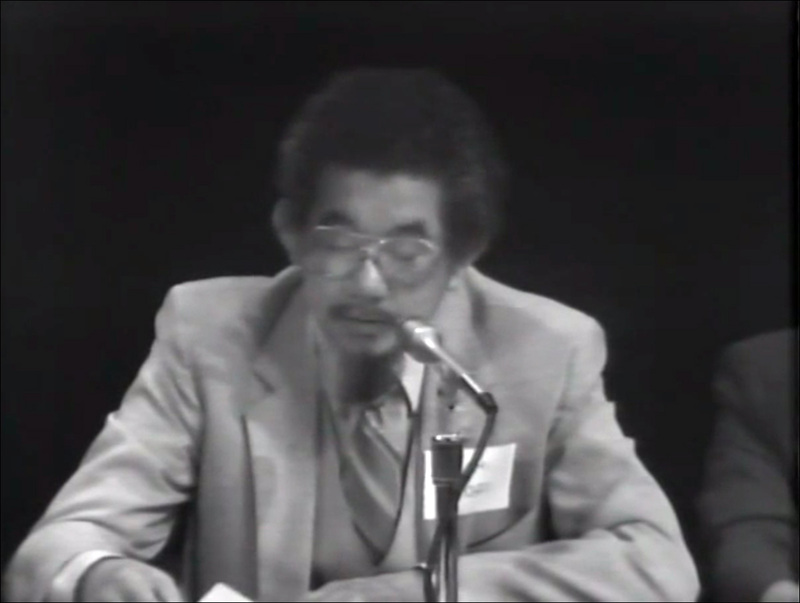 Samuel T. Shoji speaking at the CWRIC hearing in Seattle, Washington on September 9, 1981. Joseph Shoji Lachman: As a fourth/fifth generation Japanese-American, the story of Redress is a very personal one for my family. My mother's father's side of our family first came to Seattle, Washington from Akita Prefecture in Japan in 1907. My Great-Grandfather Gennosuke Shoji served as an Episcopal Reverend for the local Japanese immigrant population, and did his best to try to bridge gaps between immigrant and nonimmigrant communities. However, like virtually all other West Coast people of Japanese descent our family was forced to move to a concentration camp after the announcement of Executive Order 9066. He continued be both a father and faith leader during our families’ period of imprisonment. But in the end, incarceration traumatized our family in a way that no piece of legislation could ever truly heal. Great Grandpa’s youngest daughter, Florence was severely disabled from a childhood illness, and died as a teenager in the Idaho State Hospital during the period of incarceration as a result of the inhumane conditions in the Minidoka concentration camp, and poor medical care for those with disabilities. My family was never able to be whole again after their incarceration experience. My Great Uncle Samuel Tasuku Shoji (Uncle Sam, as I called him growing up) was the closest thing I had to a grandfather ever in my life. (My actual Jichan passed away when my mother was only 28.) Uncle Sam led a life in service of his community. It was only recently as I began to rediscover my Japanese American identity that I read his more than 16 pages of testimony he gave to the Commission on Wartime Relocation and Internment of Civilians. I could never have guessed how profoundly forward-thinking Uncle Sam was in his speech to the Commission. He recognized the need for an apology and reparations to address the harm done to the Japanese American community, and focused on speaking up for those who were unable to present their grievances - mainly Uncle Sam’s little sister Florence, and Great Grandpa Gennosuke. Great Grandpa passed away in 1968 at the age of 89, long before the Redress Movement gained momentum, and before he could ever see any form of apology for the injustice that forever traumatized our family. Uncle Sam realized that many Japanese Americans were never able to see justice, and he wanted to speak on their behalf to make sure that their stories were not forgotten. "Not only must the United States Government admit to this error, but there must be a guarantee to all that such an act will never be repeated to any people in the United States in the future without the due process of the law and the protection of the Constitution." "Hopefully, this will teach a lesson so the country can't do this again. If something like this could happen to us, it could happen to anybody." Uncle Sam realized that Japanese Americans couldn't view the Redress Movement selfishly. Japanese Americans are part of a larger history of immigrants and communities of color fighting systems of oppression in this country. An attack on one of us is an attack on all of us, and likewise a victory for our community to him meant a victory for all oppressed communities. Uncle Sam embodied a progressive view of Redress that we must preserve and pass on to future generations. Tsuya Hohri Yee was born and raised in New York City. She is a yonsei, fourth generation Japanese American on her mother's side and a third generation Chinese American on her father's side. Her family was incarcerated in Manzanar, California and Jerome, Arkansas during World War II. She co-chairs the New York Day of Remembrance Committee which promotes educational and healing efforts related to the U.S. incarceration of Japanese Americans and others and protecting civil liberties. Joseph Shoji Lachman was born and raised in Seattle, Washington and is fourth/fifth generation half-Japanese American. In 2017 he helped co-found Never Again, a social media page meant to engage and activate Japanese Americans and allies to speak up about Japanese American history and speak out against modern attacks on human rights and civil liberties. His current advocacy work focuses on building political power in Asian American and Pacific Islander communities in solidarity with other communities of color. He is also passionate about strengthening Japanese American community ties with American Muslims and undocumented immigrant communities.